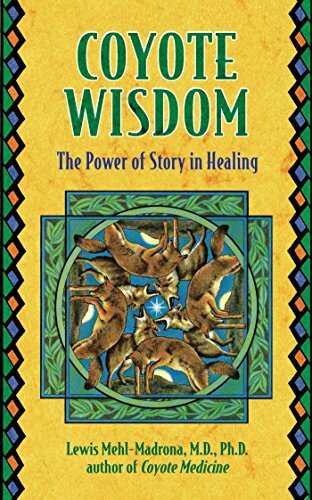 In Coyote Wisdom, Lewis Mehl-Madrona explores the healing use of stories passed down from generation to generation in Native American culture and describes how we can apply this wisdom to empower and transform our own lives. A storytelling approach to transformation starts with how we were created and how we can re-create ourselves through the stories we tell. As we explore the archetypal characters and situations that populate the inner world of our stories, we can experience breakthroughs of healing and even miracles of transformation. This approach to healing runs counter to the current model of modern psychology. The stories we tell about ourselves may model our lives, but by introducing new characters and plots, we can come to see ourselves in a new way. LEWIS MEHL-MADRONA, M.D., Ph.D., is certified in family practice, geriatrics, and psychiatry and worked for years in rural emergency medicine. He is Assistant Professor of Clinical Psychiatry at the University of Arizona and is also affiliated with its College of Public Health. He is the author of Coyote Healing and the bestselling Coyote Medicine. Lewis Mehl-Madrona, M.D., Ph.D., is certified in family practice, geriatrics, and psychiatry and worked for years in rural emergency medicine. He works with the Center for Frontier Medicine in Biofield Science at the University of Arizona and is also affiliated with its College of Public Health. He is the author of Coyote Healing and the bestselling Coyote Medicine.